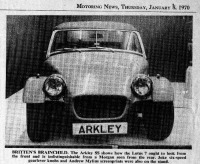 The Arkley SS was designed by John Britten in 1969 as a fibreglass front-end and rear-end body conversion to be fitted to the MG Midget or Austin-Healey Sprite. 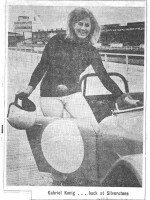 The fibreglass sections were manufactured by the Lenham Motor Company at Harrietsham in Kent and conversions done in John Britten's Arkley Engineering workshop at Arkley in Hertfordshire or they were sold as DIY kits. 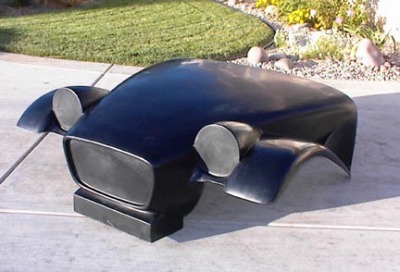 The retro design was inspired by the Morgan. 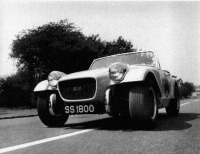 A performance gain was made over the standard Sprite or Midget through weight reduction and the obligatory wide wheels and tyres. 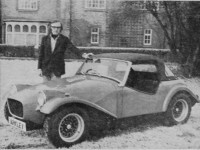 The Arkley was seen as an easy way to build a "Kit Car" and around 900 Arkley kits were sold through the production period. Throughout the 1970's and 1980's there was a plentiful supply of scruffy or accident damaged Sprites and Midgets which could benefit from the Arkley conversion. However nowadays "Spridgets" have become valuable classics with numerous businesses geared around supplying parts and services to restore cars to original specification and so Arkley conversions have become less desirable. This website is dedicated to maintaining awareness of these delightful Spridget derivatives and encouraging their owners to restore and preserve those that survive as desireable classics. A photographic database has been compiled of UK registered Arkleys, with photos gathered from various places. Arkley owners and enthusiasts from all over the world have formed a Facebook Group which is the first place to go to network with other "Arkley-ites". Here is a selection of documents that can be downloaded from Dropbox; Scans of articles from the press and other useful documents found are placed here. John Britten produced a small sales brochure for the Arkley SS. Here you can download a PDF of the scanned brochure pages. 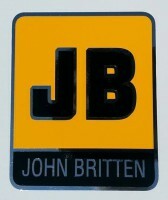 The JB badge applied to all completed Arkleys sold by John Britten has been reproduced and can be purchased from Michael Moloney in the USA. No Arkley is complete without it! 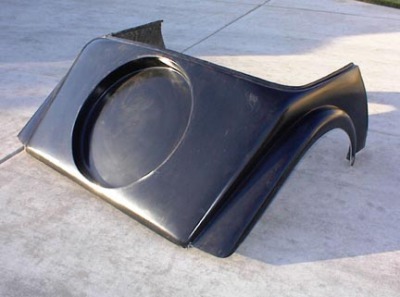 Today new Arkley front and rear body sections can be obtained from Peter May Engineering in the UK, where they hold the original moulds. Another set of moulds exists in the USA, now in the keeping of Michael Moloney in Ohio. Michael owns the British Racing Green Arkley pictured above and can be contacted via the Facebook group. Some period images from John Britten's Arkley Engineering Ltd.